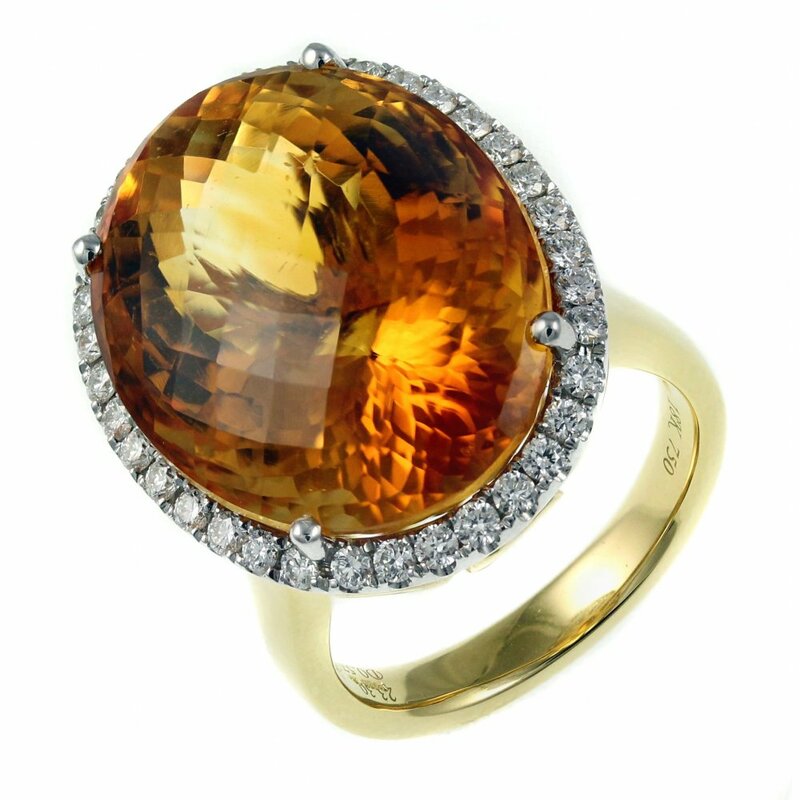 18ct yellow gold 23.30ct citrine & 0.57ct diamond ring. Large oval cut citrine in a 4 claw setting. Round brilliant cut diamond surround in a claw setting. F/G colour & VS clarity diamonds. Ring size M. Can easily be resized.